One of the few constants with emerging media is the fact that with each given year there will be a new trend. And according to some, 2012 will be the year of mobile advertising. In a recent article from Mashable, one of the reasons 2012 is being deemed the year of mobile advertising is the fact mobile is coming of age. And, it truly is. Think about when mobile first came into play. They were text messages. Today, they are videos that are interactive. Consumers want to engage with the brand. But technology isn’t the only thing that is changing the focus of consumers. Consumers are looking for more and more ways to go mobile. Today, we cannot live without our phones. How many times do you feel lost without it? Now, think about how many times you have used an app to make a reservation, check in for a flight and then watch a movie. Probably too many to count on one hand. Consumers are crazy for mobile, and in our constantly on-the-go society mobile advertising is a great way for marketers to reach consumers. Yet, will there be resistance to mobile by consumers? It seems like this is just another way for marketers to reach us. And, yes, from a marketing perspective I love this idea, but as a consumer, do I need to be connected to advertising 24/7 as well? In a study conducted by Park Associates they found that nearly 40% of those interviewed were not receptive to receiving advertisements via their mobile phone. Granted, the study was conducted three years ago, but it does show that people are going to be resistant to this change. Just because more and more people are having smartphones, does not necessarily mean they are receptive to advertisements. The bright spot: in the same survey those in the younger generation were open to online advertisements. With such a large investment being made in mobile, do you think marketers’ efforts are futile since people are still resistance, or is this a great way to reach a younger audience? This entry was posted in Emerging Media and tagged advertising trends 2012, mobile advertising trends 2012, mobile advetising by kmcglumphy. Bookmark the permalink. 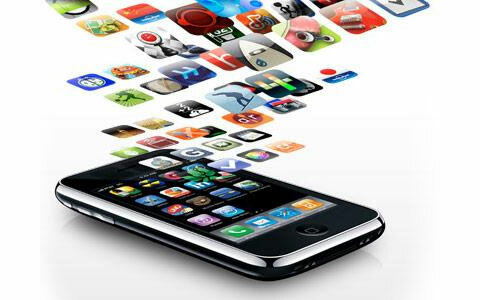 I think apps are God’s way of letting marketers market to the mobile market. Permission is implied, especially for free apps. It is implied in some ways, but I know I was shocked the first time I received an advertisement when I played Words with Friends. I wasn’t expecting it, and I actually find it annoying. I think it will be interesting to see how mobile advertising evolves.